For growth stocks, buying low usually doesn’t mean you’re getting a bargain. It usually means you’re buying a laggard! That’s right—believe it or not, in the market, strength tends to lead to strength, while weakness tends to lead to weakness. Is Goldman Sachs Stock Still a Buy? Goldman Sachs stock has been on a tear of late. But has the investment-banking giant become overvalued? Let's break it down. Many people like to make decisions based on hunches; sometimes they’re called “educated guesses” and sometimes “feminine intuition.” And there’s some experimental support for the idea that snap judgments often prove quite sound. Timothy Lutts recommended the stock in February to Cabot Stock of the Month subscribers. With Redbox, Coinstar (CSTR) is participating in the DVD rental revolution. Peter Buffett has written a book about the benefits of following your passion. NetLogic Microsystems (NETL) recently earned a spot in Cabot Top Ten Report. There's a good chance more upside is on the way for the carmarker. 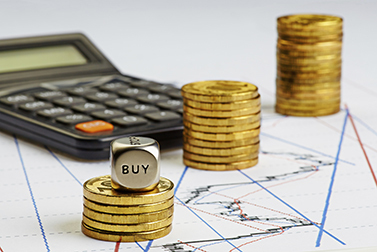 Guest editor Carla Pasternak discussed a simple stragey to boost your dividend income. Cree Inc. (CREE) is a leader in the production of light emitting diodes. Two lessons gleaned from the best-performing stocks of 2009.